Sometimes when I participate in Anime Secret Santa, I get introduced to new series I never would have considered, but this time the project served a slightly different purpose — it forced me to watch something I had bought but never got around to watching. 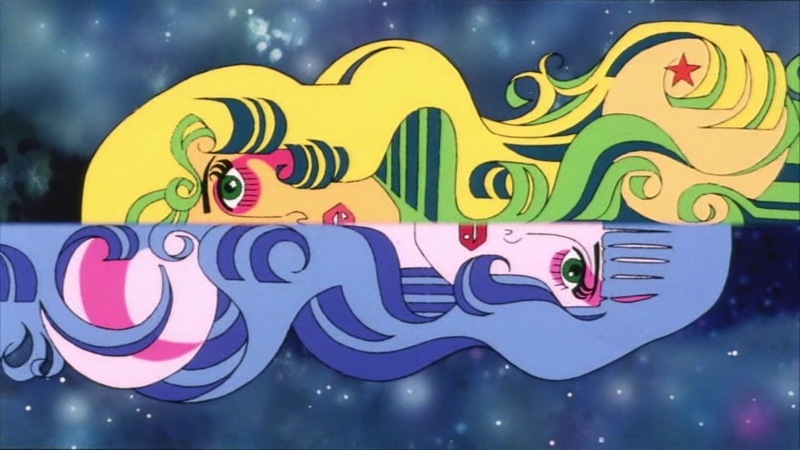 Space Adventure Cobra is a classic anime film that I should have watched years ago. Now I know what I was missing out on. Though the franchise has ballooned out into a couple manga and anime series since the movie premiered in July 1982, Space Adventure Cobra: The Movie was the first animated adaptation of Buichi Terasawa’s science fiction manga. Believe it or not, Cobra ran in the famous Weekly Shonen Jump alongside titles like Dr. Slump and Captain Tsubasa , despite the abundance of adult characters and implied sexual imagery in the film. The title character is a space pirate whose left arm hides the "psychogun," a weapon that transmutes his mental energy into a powerful laser that can curve around obstacles. 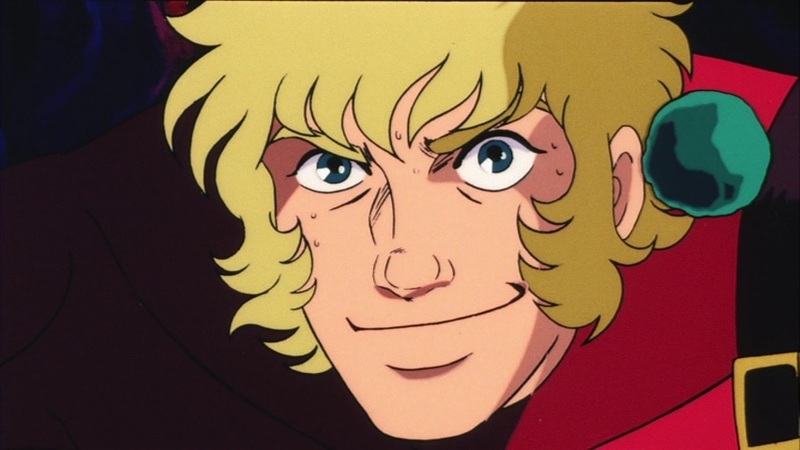 Cobra was inspired in part by James Bond, and inherits his rotating cast of female love interests, but the closest comparison is easily the famous anime thief Lupin III, though Cobra’s not quite as much of a prankster. 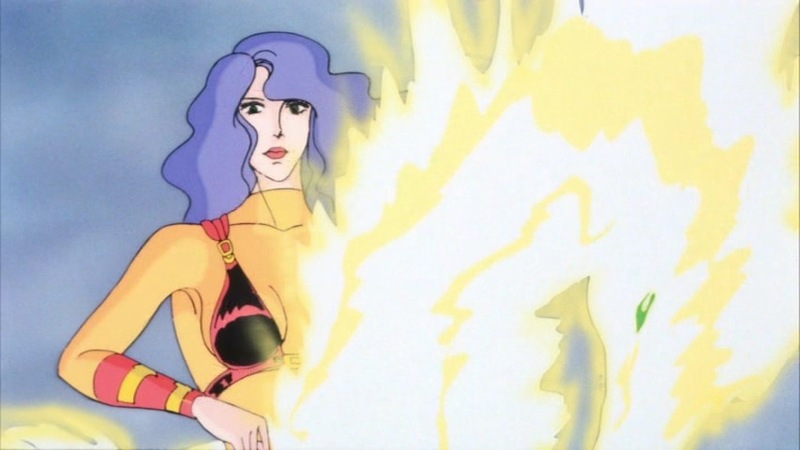 The film tells a modified version of the first arc of the manga (co-written by Terasawa himself), in which Cobra agrees to help out a beautiful female bounty hunter and her sisters, who are the heirs to the throne of a once-powerful planet. 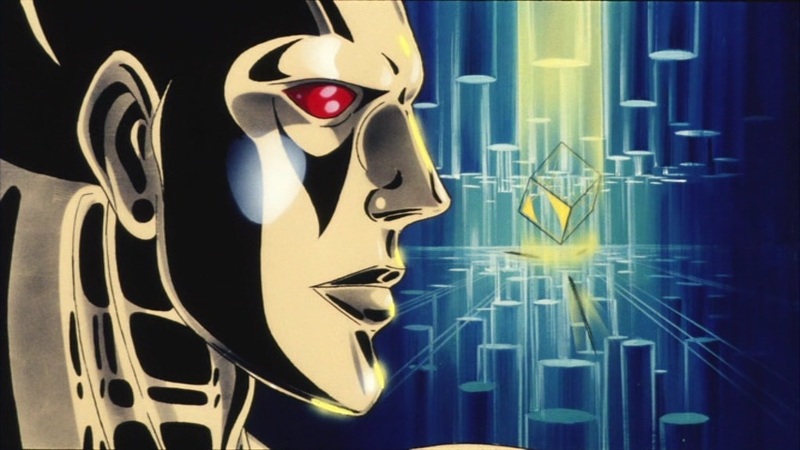 Along the way they’re hunted by Cobra’s nemesis, the cybernetic space pirate with the most intimidating name in anime history: Crystal Boy (his Japanese name — Crystal Bowie — is way cooler while somehow being even sillier). 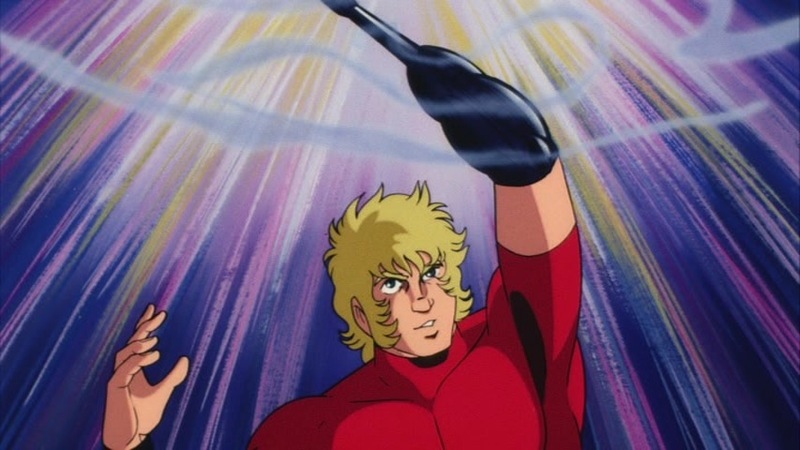 The story sometimes feels a little aimless since both Cobra and Crystal Boy’s reasons for being wrapped up in the royal intrigue aren’t quite clear, with Cobra basically just helping out of boredom. Thankfully the sisters provide enough emotional dynamism to keeps things interesting, revealing their back-stories and allegiances bit by bit as the story progresses. But more importantly, what makes the movie compelling is its unrelenting pace, with each ambitious sci-fi action scene or major plot twist leading right into the next one. This is the kind of adrenaline-pumping adventure that made people fall in love with anime back in the ’80s, which should come as no surprise considering it's from the director-animator team of Osamu Dezaki and Akio Sugino, who made their names in the 1980s with a high-octane yet meticulous and cinematic filmmaking style. Cobra swirls with technicolor dreamscapes and brightly colored geometric patterns reminiscent of the work of French comic artist Moebius. It's a vision of outer space that’s wondrous, surreal, and sadly no longer in vogue. Personally, I tend to associate Dezaki with terrestrial stories of high drama and pathos, like The Rose of Versailles and Black Jack . His usual motifs — shimmering oceans, birds careening through the sky, bright backlighting — are present in spades here, but he also adds a dose of spacey psychedelia to the mix. Cobra swirls with technicolor dreamscapes and brightly colored geometric patterns reminiscent of the work of French comic artist Moebius. It's a vision of outer space that’s wondrous, surreal, and sadly no longer in vogue, despite big-budget movies like Valerian and Thor: Ragnarok attempting to resurrect it for a new generation. 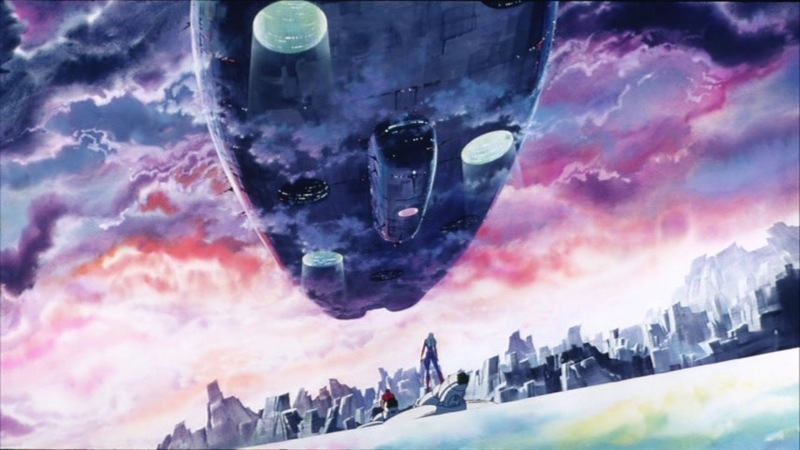 It helps that Cobra also features one of the greatest anime background artists, Shichiro Kobayashi ( Utena , Nobody’s Boy Remi ), whose vibrant, textured paintings contrast with the foreground animation without calling too much attention to themselves. That animation relies heavily on Dezaki's love of repeated and reflected still imagery, which makes for a movie chock full of memorable stills but doesn't showcase a ton of standout motion. 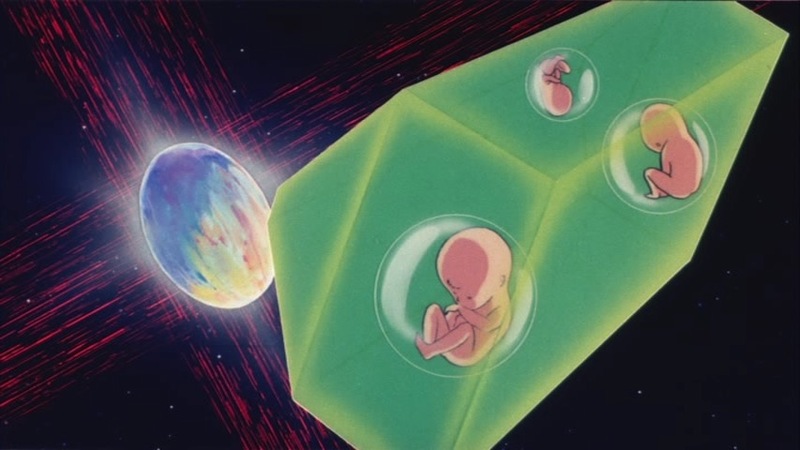 That doesn't stop the animators from showing off when given the chance; there are dozens of shots that would warm the heart of any fan of flashy modern animation, featuring Sugino's trademark shifting lighting effects, springy action choreography, and ludicrously complex spaceship acrobatics. It's no exaggeration to call Cobra one of the best looking anime projects of the 1980s, but even that is selling it short. This movie outshines most modern anime! Behind all the flash and spectacle is an idea as psychedelic as the movie’s visuals: love not merely as an emotion, but as a physical force. This unexpectedly earnest theme runs up against Cobra’s image as a male power fantasy, and makes the movie thematically richer as a result. Its internal logic may be a little frazzled at times, but Space Adventure Cobra is captivating all the way through, in large part thanks to its eye-popping art style. So a big “thank you” to my Secret Santa for giving me the kick in the pants that I needed to finally watch this movie. Now it’s my turn to convince everybody else to watch it.